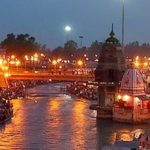 Chardham tourism is one of the top tour operator in Haridwar offering best tour packages, Do dham yatra packages, teen dham yatra packages also best single dham yatra packages in Haridwar. Chardham Yatra in Uttarakhand has been traditionally known as one of the holiest journeys for Hindus. 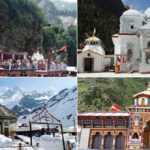 A trip to Char Dham is believed to wash away all sins and purify the soul which is why lakhs of people from India and even abroad travel to Uttarakhand from travelling to the Char Dhams. However even holy places are sometimes not spared from the fury of nature. There was a catastrophe back in 2013 which resulted in devastating loss of life and limb in Uttarakhand. 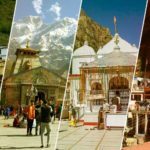 Since then there has been a lot of speculation in the country about the safety and the ability of the infrastructure of Uttarakhand to withstand the pressure of tourist flow for holy Chardham Yatra. 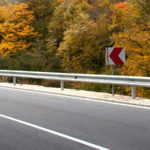 However the good news is that Uttarakhand has redeveloped and strengthened its facilities. 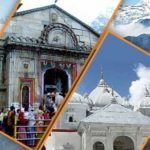 Chardham Tourism is one of best tour operators in Haridwar offering best chardham yatra packages from Haridwar and chardham yatra packages from Delhi. Chardham Tourism is also providing fixed departure chardham yatra packages from Kolkata.